IT'S OUR PRIVILEGE TO SERVE YOU! 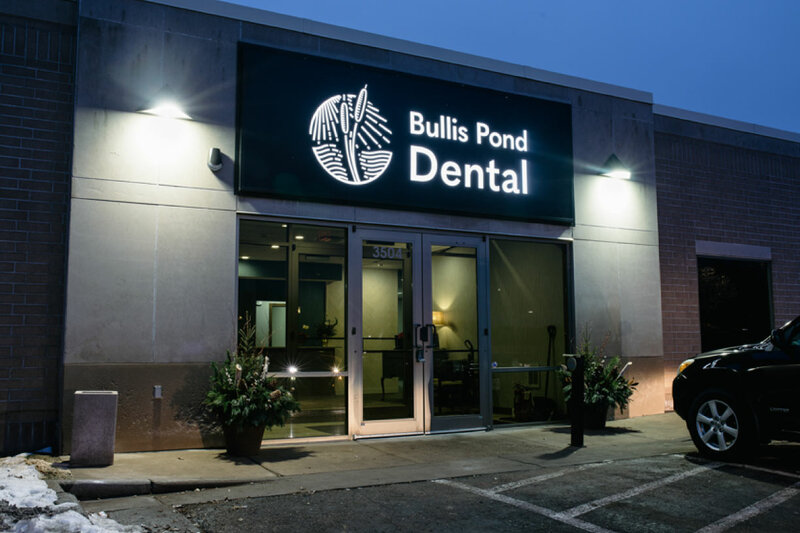 Dr. Travis and his team are excited to announce their return to Eau Claire, with the formation of their new clinic, Bullis Pond Dental. Conveniently located on Oakwood Mall Drive, the clinic overlooks Bullis Pond, the gathering spot for what was formerly Bullis Family Farm. Our philosophy is to offer the same personal dental care that we've provided patients for many years. We look forward to maintaining the relationships we've forged together and the opportunity to create and build long-lasting relationships with patients who will be new to our clinic. The first step to a healthy smile is regular preventive care. Besides daily brushing, flossing and cleanings your dental team can assist you in preventing cavities, gum disease, enamel wear and more. Our hygienists, Rosalyn and Raquel, are eager to offer their personal level of care to help our patients maintain a healthy smile. When it comes to cosmetic dentistry, even subtle changes to your smile can go a long way to enhancing a persons confidence. Whether your needs are minimal or more extensive, a Smile Design consultation can help you understand what it may take to give you the appearance you desire. With access to newly developed high-tech tools such as the Cerec milling unit, we can restore broken down teeth with a crown that is done in a single step, eliminating the need for a second visit. Our restorative services can enhance your dental health for many years to come.